Pop Culture Weekly is a weekly podcast covering movies, music, gaming, TV, streaming, social media and everything in between. Hosted by Kyle McMahon and a rotating panel of guests, Pop Culture Weekly offers news, reviews and honest commentary on what's going on in entertainment. Presented by 92.9 TOM-FM / iHeart Radio. In Episode 17 of Pop Culture Weekly, Kyle McMahon is joined by Benny Panella to discuss Batman's 80th Anniversary celebration. All things Batman are discussed including the best Batman movies, TV shows, actors and more! Additionally, Kyle interviews writer / director Jordan Rubin about his new Shudder series Critters: A New Binge and his cult classic Zombeavers. Pop Culture Weekly is presented by 92.9 TOM-FM & iHeart Radio. The Best & Most Hilarious Moments So Far! Captain Marvel! Review Trolls! Brandon Davis! 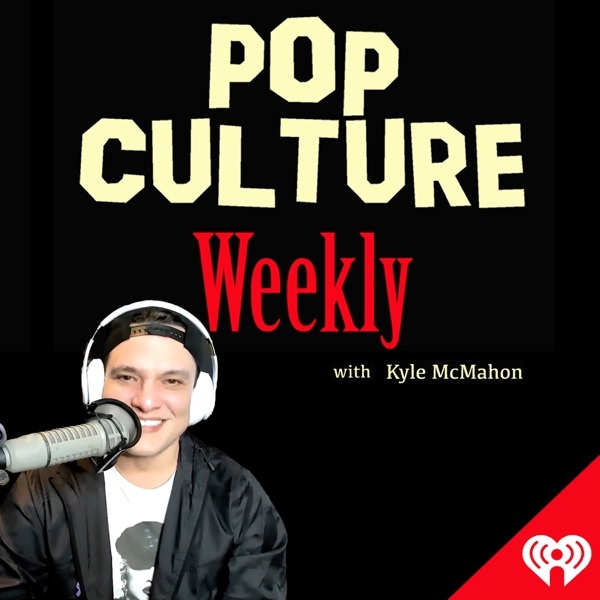 For Episode 11 of Pop Culture Weekly, Kyle McMahon is once again joined by iHeart On Air Talent Benny Panella. They discuss the 2019 OSCARS, that R Kelly thing, Jussie Smollet and more. Kyle interviews the Oscar nominated Yalitza Aparicio and the Oscar nominated Marina de Tavira from the three time Oscar winning film ROMA. Pop Culture Weekly is presented by 92.9 TOM-FM & iHeart Radio. In episode 009 of Pop Culture Weekly, Kyle McMahon interviews the legendary Michael Bolton. Having sold over 75 million records, with 16 Top 40 hits, 2 #1's and 2 Grammys, he talks about his new album A Symphony of Hits and his new fragrance collection, Time Love & Tenderness. Additionally, iHeart Radio On-Air Talent Benny Panella (@BennyOnTheRadio) discuss if Valentine's Day matters anymore and their favorite Valentine's Day (& anti-Valentine's Day) movies. Hot Clips with Sarah Fraser! In episode #08 Pop Culture Weekly, Kyle McMahon is joined by amazing multi-hyphenate Sarah Fraser (Hey Frase podcast, The Mansion Murders podcast, FOX DC 5). Kyle and Sarah discuss all of this weeks hot pop culture news in an all hot clips special episode. They cover: *Fyre Festival Documentaries *Backstreet Boys First #1 Album in 20 Years *RENT Live *Netflix Warning Viewers About Calling Ted Bundy Hot *Victoria Beckham Feels Left Out Of Spice Girls Tour *Real Housewives of New York City Season 10 trailer You *MUST* follow Sarah. She's hysterically funny and super whip smart. Check out her website at http://heyfrase.com & then you *MUST* subscribe to the Hey Frase podcast on iTunes https://itunes.apple.com/us/podcast/hey-frase-198-oreo/id1064651383?i=1000390851093&mt=2 & the iHeart Radio app https://www.iheart.com/podcast/263-hey-frase-podcast-28372834/ Shes on Facebook https://www.facebook.com/heyfrase/ , Twitter https://twitter.com/heyfrase & YouTube https://www.youtube.com/user/HeyFrase LOVE HER! Yikes! Golden Globes Winners & Losers 2019! What's Coming In 2019 for Movies, Music & TV!